Finding the right HazMat Placard was never so easy. Our gallery of placards is the most sought out and our Find-a-Placard makes it really easy to select just the right DOT placard. 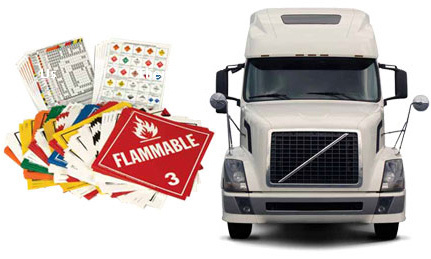 We focus on our design and compliance with various safety laws, so that your HazMat transportation is made safe. Our DigiLock and Flip-n-Lock placards are a favorite among truckers who buy them year-after-year. Placards feature industry’s smoothest snag-free flip system. Our Flip Placards are top of the line. Best materials, best design, best price. Take the guesswork out of finding the right placard. 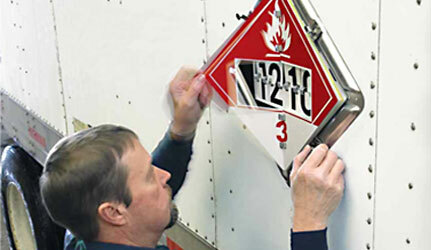 Our 'Quick Placard Search' makes the selection of the proper HazMat Placard simple and fast. Just enter the DOT UN number or search by material name. We will then display the appropriate placards. Need to change your message frequently? Flip from "Safe to Enter" or "Danger Do Not Enter". Find lots of modular warnings. No sign is more flexible! • Placards flip easily. Double-riveted clips snap it all into place. • Placards feature the industry's smoothest snag-free flip system. • Easily flip legends. Available in reflective for extra visibility. • Just flip your ratings. No need for multiple signs or placards.